Are UFOs crossing the galaxy just to visit our planet? 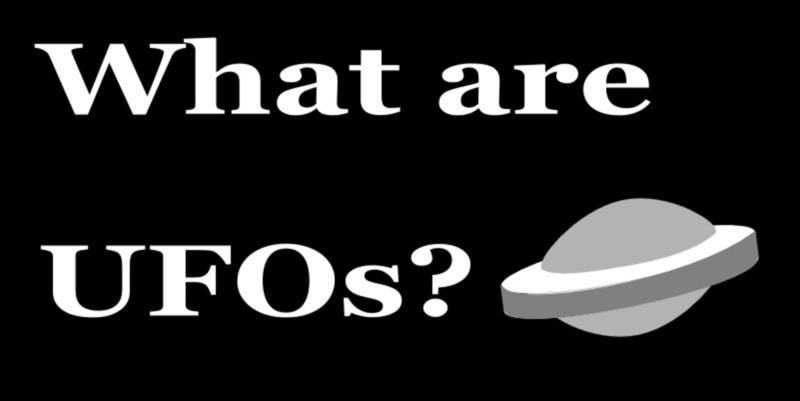 Are UFOs Really Visiting Earth? For decades the public has been fascinated by the idea that aliens from another world are coming to our Earth. The reason for their visits and the extent of their meddling varies depending on who you ask. Maybe the government is involved. Maybe UFOs have been coming here for a long time. 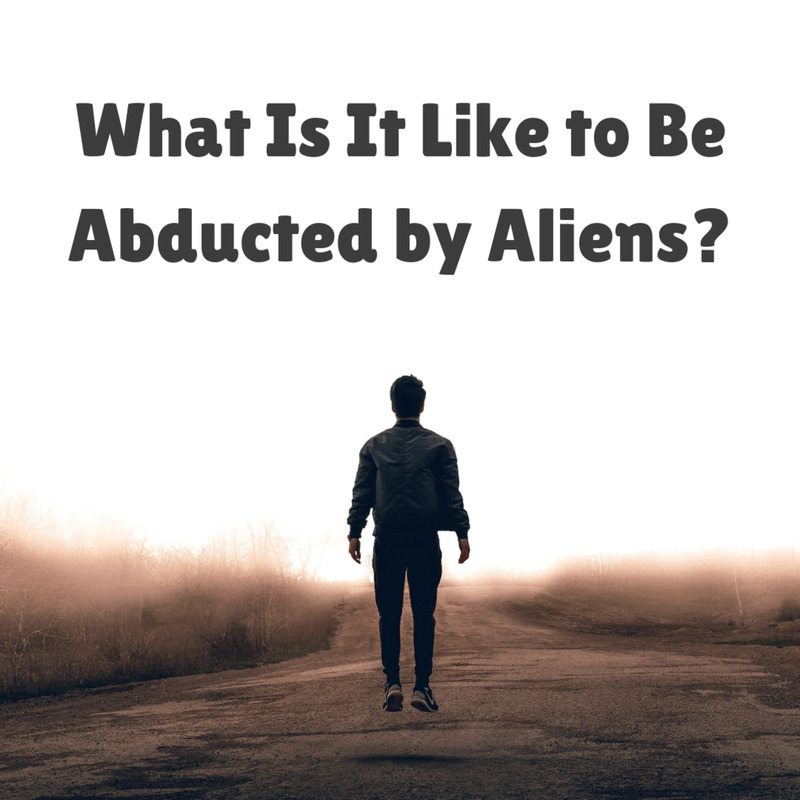 Maybe they are even abducting people and taking them away. 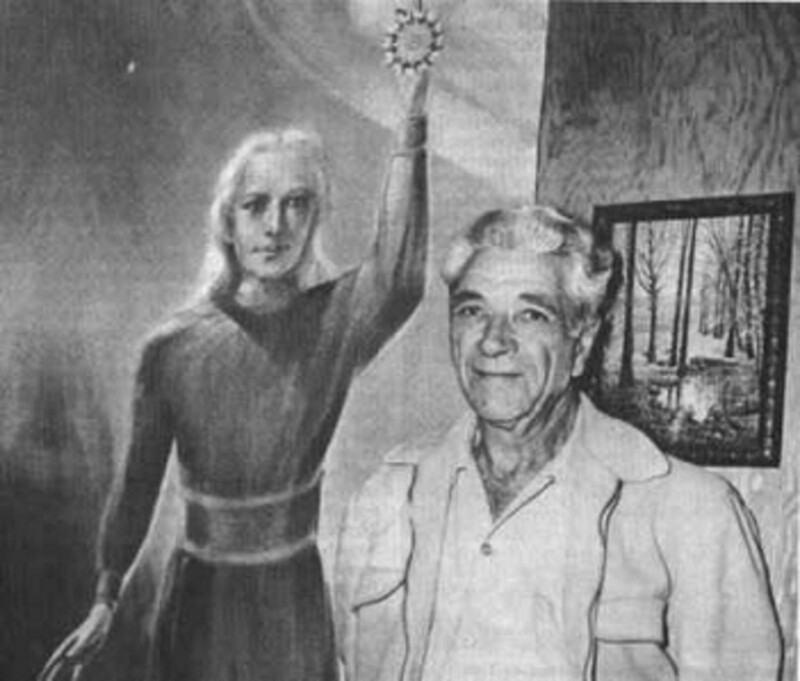 Along with ghosts and Bigfoot the belief in alien visitation is one of the most popular fringe theories today, spanning cultures across the globe. Of course there are others who say it’s all a bunch of baloney. They’ll tell you there is no real evidence that an alien culture has ever visited this planet. Sightings and other so-called proof can be easily explained away, for those who are willing to put fantasy aside and look at things realistically. As for me, I’m pretty open-minded. The fact is people have claimed UFO sightings and experiences they attribute to alien encounters for a very long time. It doesn't seem reasonable that every single person who makes such a claim would be crazy, lying or just plain wrong, especially when you consider that many sightings come from some pretty respectable sources. Something must be going on here. But when I consider the UFO phenomenon as a whole, sometimes I get to thinking maybe the naysayers are right. There is a lot of logic stacked against most theories concerning aliens, and no real evidence to be found. While it is not only possible but probable that alien life exists somewhere out there in the galaxy, we have no solid reason to think they are coming here right now. So, for the purposes of this article, I’m going to serve as the Devil’s advocate and suffer the slings and arrows that go along with that position. 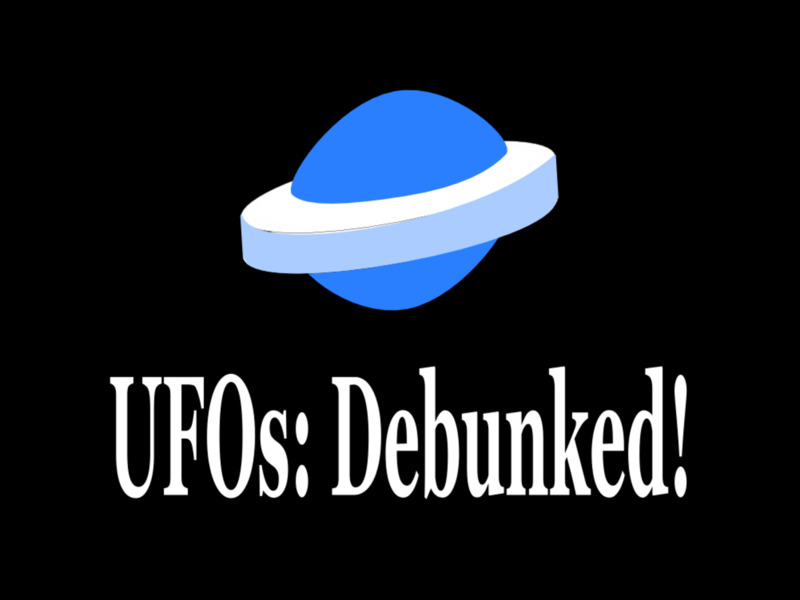 Here we go: UFOs debunked. Whenever people claim to have spotted a UFO, or any other unusual entity for that matter, we have to think there are four possibilities. This goes for aliens, Bigfoot, ghosts and even spiritual beings that show up for seemingly benign purposes. The first is that these people are lying. While I can’t personally fathom it, some folks make up stories in an attempt to achieve fame, wealth, or sometimes for odd reasons known only to them. Sometimes they are just having a little fun and see it as a prank. Whatever their reason, a certain percentage of UFO sightings can be attributed to people telling tall tales. The unfortunate part here is how their actions distort real statistics when it comes to documented sightings. The second possibility is that the witness had a psychological event of some kind that caused them to hallucinate. The brain is a complex organ, and certain disorders can cause people to have trouble sorting reality from the fractured products of their mind. Sometimes, sadly, people can go undiagnosed for years or decades. But even otherwise mentally healthy people can have issues when they are ill or in a stressful situation. I think of Scrooge in A Christmas Carol when he attributes seeing Marley’s ghost to a bit of underdone potato. Certainly this type of mental misfire accounts for a certain percentage of UFO sightings. Third, people may simply make a mistake. Any strange lights in the sky can be surprising and a little scary, but that doesn’t make them of alien origin. Some UFO sightings in the neighborhood of military bases potentially can be explained by classified aircraft rarely seen by the public. Others may just be normal aircraft spotted from an odd angle. Sometimes our minds plug in outlandish reasons for things that, if we were to stop and think about it, could have perfectly mundane explanations. This accounts for another chunk of reported UFO sightings. Of course the fourth possibility is that the witness really did see a craft from another world. This is by far the least probable of the four explanations, but the problem is we can never know what is in another person’s head. Even those who may have really encountered a true alien UFO are often branded crazy or dishonest. However, I’ll admit some witnesses are extremely credible. Sightings by airline pilots and military personnel are particularly hard to debunk. While the notes above still apply, by nature of their profession they are trained to handle anomalies and odd occurrences in flight. These are people who are unlikely to jeopardize their careers with claims of fanciful nonsense. When they say they’ve seen something bizarre it’s hard not to believe them. Some people don’t just see UFOs, they run into the aliens themselves. Most of us know the classic series of events: The aliens show up in the night and somehow getting into a locked house without breaking anything. The victim knows they are there, but can’t move. Next thing the victim knows they are strapped to some table on an alien ship and the probing begins. It must be terrifying to have this happen once, but many victims endure a lifetime of alien abductions, starting when they are kids. Often these traumas are only revealed under hypnosis. The first case, and one of the most famous of such encounters, was the abduction of Betty and Barney Hill. But it turns out there is a clinical explanation for this, as bizarre as that sounds. Sleep paralysis is a disorder where people are trapped in a sort of limbo between sleep and awake. They are partially aware of their surroundings, but unable to move or speak. Sleep paralysis is often accompanied by hallucinations and oppressive feelings of terror. Victims may sense a menacing presence in the room with them. Throughout history this has been explained by demons tormenting the victim, or, more recently, alien intruders stopping by. Of course there is no presence, no alien and no danger. It is simply the product of their dream-state mind. But until science understood this phenomenon people were free to invent all kinds of explanations. There is also a certain amount of controversy surrounding revelations made through hypnosis. Critics say people are so highly suggestible while in a hypnotic state that it’s impossible to know if they are recalling an actual memory, or something imagined. So-called memories play even be planted, possibly inadvertently, by the hypnotist. This has been cited as one of the biggest issues with the Hill case. 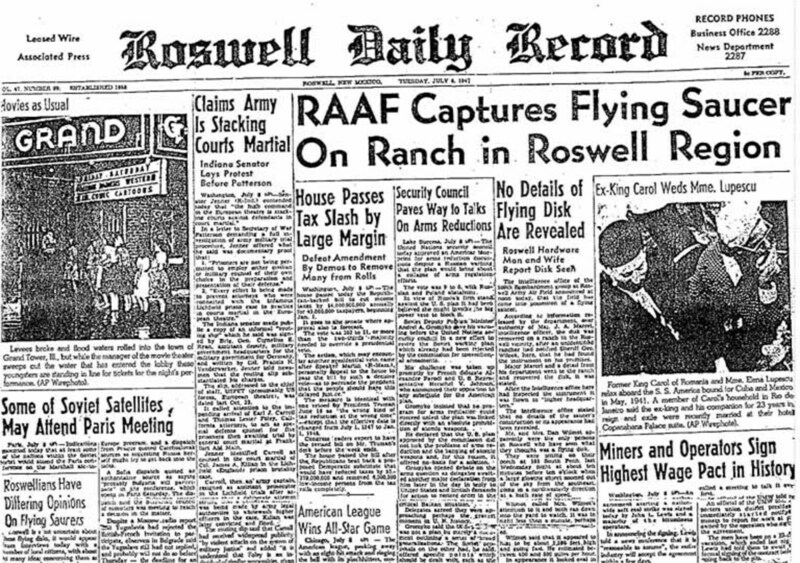 In 1947 a craft from another world crashed on a ranch near Roswell, New Mexico. The government quickly swooped in, mopped things up and hauled away a few alien corpses and maybe even a live one. The Army initially said it was a UFO, but quickly changed their minds, called it a weather balloon and properly threatened locals to keep their mouths shut. That’s the story, and thirty years ago it was pretty intriguing. There were even some alleged eyewitnesses who came forward to attest to what they saw and the subsequent government threats. But in 1994 the Project Mogul files were declassified, and the truth of what really went down at Roswell was finally revealed. Project Mogul was a top-secret operation conducted by the U.S. involving high-altitude surveillance balloons. Since the target of this surveillance was the Soviet Union, with whom the United States had increasing icy relation since the end of World War II a few years earlier, the military wasn’t going to risk the revelation of their clandestine project. So, they were in no mood to talk about it when one of their secret Mogul balloons went down in New Mexico, and naturally there was a cover up. This seems to wrap thing up nice and tidy, but of course if you are a UFO believer it doesn’t work for you. In fact, it may just be an indication that what the government is really trying to cover up is the UFO crash at Roswell! The Groom Lake base, aka Area 51, may be the single most overblown piece of UFO lore. The facility at Groom Lake, Nevada, is a government-controlled location where top-secret testing and development occurs. To me, that immediately takes it off the list as possible evidence of any alien activity. Area 51 is highly secured, and surrounded by restricted airspace. With top-secret aircraft flying around, and who knows what else, there is no way to definitively say anything sighted near this facility is of alien origin. There are simply too many possible explanations, including experimental, top-secret technology developed by ordinary humans. While some of the top-secret aircraft tested at Groom Lake have since been declassified and are known to the public, we have no way of discovering what is happening there now and the government isn’t talking. Certainly we can assume there are some amazing projects and probably a few things we don’t want to know about, but that doesn’t mean it is of alien origin. Of course there are stories of alien aircraft stationed at the base, and human-made aircraft reverse-engineered from alien technology. One of the most famous comes from a man named Bob Lazar, who claimed to have worked at the facility and witnessed many strange things. 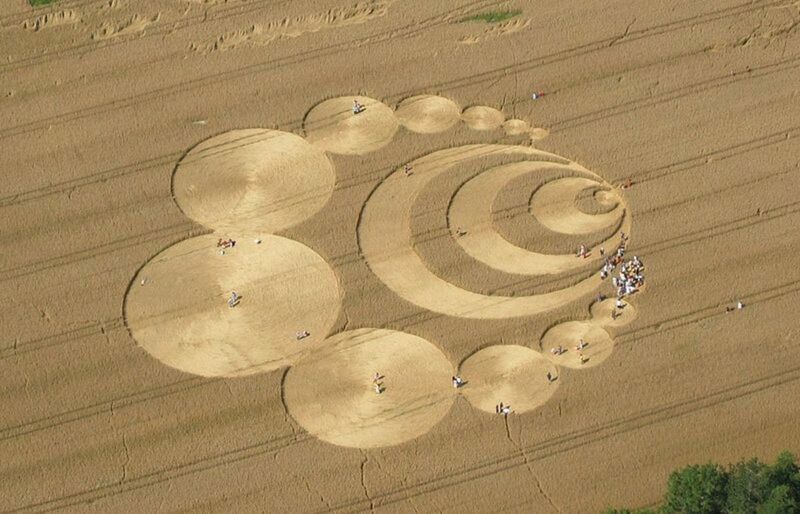 Crop circles are a phenomenon where geometric patterns mysteriously appear in fields, often overnight. Of course with no immediate explanation we turn to the usual suspects: Aliens! Starting in the 1970s these weird circles, sometimes featuring elaborate designs, started to show up in fields in the English countryside. Once the media began reporting on them they appeared in fields around the world. If aliens weren’t responsible, who could possibly be doing this? Turns out it was a couple of English blokes called Doug Bower and Dave Chorley who were both, by all accounts, perfectly human. In 1991 they revealed how they created hundreds of crop formations using some rope, planks, a doctored ball cap and a little geometry. Of course two guys couldn’t have created all of the thousands of crop circles reported around the world, but their revelation did demonstrate that it really isn’t all that hard to make a crop formation. If they could do it almost anyone with the proper motivation can too, no alien technology required. According to proponents of Ancient Astronaut Theory, alien visitation has been occurring for a very long time. For evidence of this, one only needs to look at the art, literature and architecture left behind by our ancestors. For example, in some cases, such as the Great Pyramid of Giza, it appears humans were constructing objects far beyond what their technology would allow. What else explains the creation of such an amazing structure in ancient times? The Naszca Lines in Peru are another great example. Here, ancient humans appear to have created massive drawings on the surface of the earth, so huge that they might only be seen by airborne craft. Some appear to be runways, presumably for airships of some kind, while others are depictions such as monkeys, hummingbirds and spiders. Since the ancient Naszca people had no helicopters, airplanes or dirigibles that we know of, and there are no high places to view the artwork, we can only assume these drawings were made for or by alien visitors. But that assumption is a big one. The Naszca region is a desert, and any ancient culture living there would surely have experienced a great deal of hardship. Their religion, like many in South America of the time, called upon the gods to give them what they needed to survive. So, is it more likely that these lines are part of an ancient religion and meant to appease angry gods? Or, is it more likely that a culture struggling to survive in a harsh desert region set aside thousands of hours of their time to draw giant pictures for spacemen? This type of distorted thinking is, in general, what plagues Ancient Astronaut Theory. Plausible explanations are set aside in favor of outlandish narratives that fit the theory of alien visitation. Is it not most reasonable that ancient people were perfectly capable of building their own pyramids, creating drawings knowing they could only be seen by the gods, and creating artwork that, while it resembles a spaceman, is nothing more than a depiction of some strange cultural entity? All that said, Ancient Astronaut Theory is interesting to ponder, even if it is a little hard to swallow. 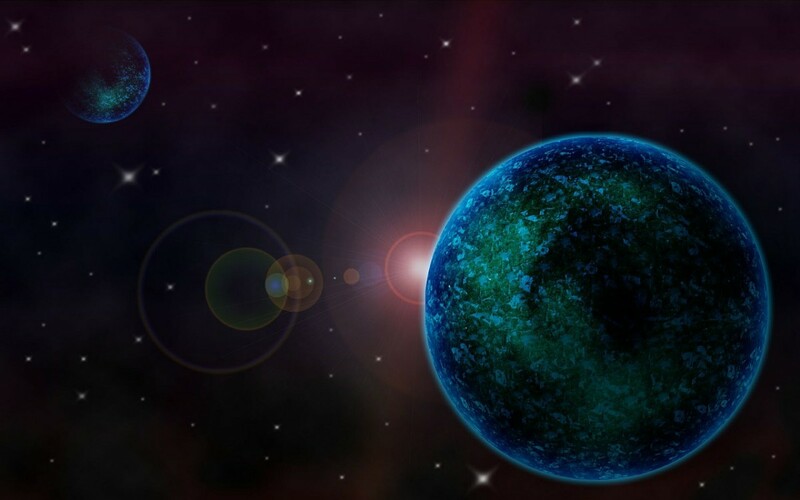 Has an Alien Civilization Shaped Humanity? If UFOs are visiting our planet, why doesn’t the government know about it? Especially in this post-911 world, where anything larger than a pigeon might be gunned down if it violates the wrong airspace, how can the most powerful countries in the world not know about alien spacecraft in our atmosphere? If aliens are really here, the easiest answer is: Governments do know, and they’re keeping it on the down-low. Conspiracy theories about the governments of the world covering up knowledge of alien visitation are nothing new. Some say governments like the United States, Great Britain, China and Russia are in cahoots with the aliens and keeping it a secret. 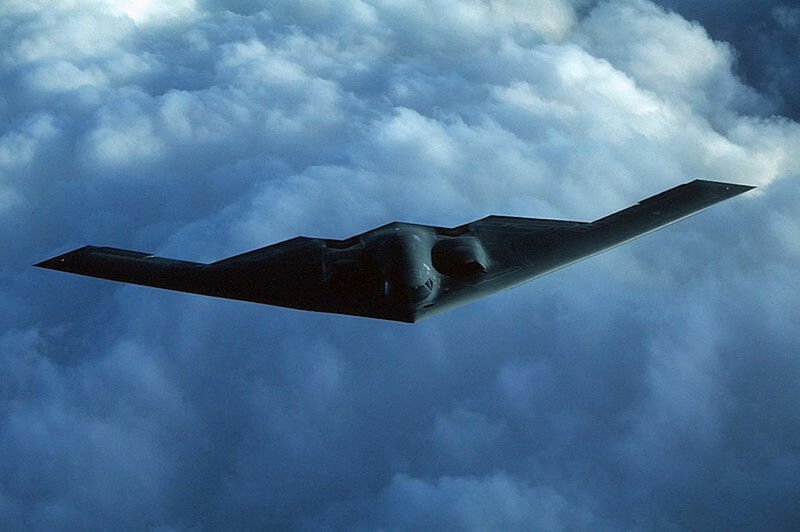 Others say the governments keep things quiet because there is nothing they can do about it, and UFOs are indeed the greatest threat to the national defense of every country. Let’s take off our tin hats and think about this for a moment. For this theory to work it would mean that every country in the world, or at least the biggest ones, would have to be on the same page to support the ruse. This means, for example, that during the Cold War the United States and the Soviet Union would have had to set aside every other issue and agree on a pact to keep information about UFOs from the public. Plus, UFOs are sighted over every country, not just the big ones. There are nearly 200 individual countries in the world, which means almost 200 governments and nearly as many militaries. So, not a single one of them has come out to say, Holy bejesus! The aliens are here! You may believe your government is hiding proof of alien visitation, and that’s plausible. But do you really believe every single country in the world is in on it? If so, it would be the only thing in the history of humanity that every culture agrees on. Compounding all of the above, I think one of the biggest problems UFO believers face concerns where any alien race might originate from, and how far they would have to travel to get to Earth. As far as we know, there is a cosmic speed limit which governs anything with mass. No craft or being can travel at the speed of light, or even come close without consequences. Just like us, aliens would be subject to this rule of physics. The closest solar system to our own is Alpha Centauri. With our current technology it would take us over 150,000 years to get there. For an alien race traveling near the speed of light it would take over four years. If they were coming from Zeta Reticuli, the star system sometimes cited as a possible home world for alien visitors, it would take ten times as long. The Milky Way Galaxy is huge, and stars and planets are very, very far apart. Governed by physics as we know it, it would take years, decades or centuries to get to even the closest habitable planets. At this point you might be thinking that your favorite science-fiction action heroes have been lying to us a bit. Of course this leaves out the possibility that an alien race has discovered technology that we don’t yet understand. Even some earthling scientists are warming to the idea that it may be possible to “warp” space, thus shortening the distance between two points. Not only does this redeem your sci-fi heroes, it is also one way to explain how UFOs could travel such long distances in a reasonable amount of time. Still, would aliens really travel so far just to visit the Earth? They aren’t stealing our resources, kidnapping our people in massive numbers or invading our planet. Whatever the reason they may have come, it hardly seems worth such a lengthy trip, if the trip is even possible at all. Are Aliens Really Visiting Earth? In closing, there are a couple of interesting points to be made about the UFO phenomenon, first concerning whether or not UFOs are real. The answer is yes, UFOs exist. Whether sighted by human eyes or by radar, there are many reports of unidentified flying objects that can’t be explained. But it’s a leap of logic to assume they are of alien origin when there are other plausible causes. The second point concerns whether or not the aliens themselves are real. The answer, I think, is probably. According to the Drake Equation, there is strong likelihood that alien life exists out there in the galaxy. In fact, many governments of the world have plans in place should we make contact with such a civilization. Would it not be truly ignorant to assume we are the only life in the entire Milky Way? So, of all the paranormal theories out there, you might say UFOs and aliens are the only one that is not only most possible, but probable. The question is: Are they here, or are they still out there? They are real and they are visiting Earth, so shut up with the debunking. 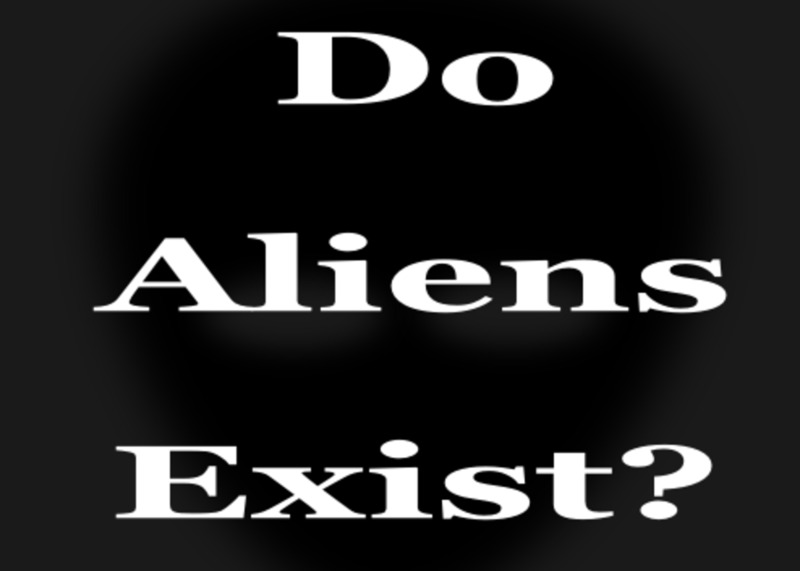 There are probably real aliens, but there is no evidence that they are visiting Earth. There are no aliens. Earth is unique as a home to life. 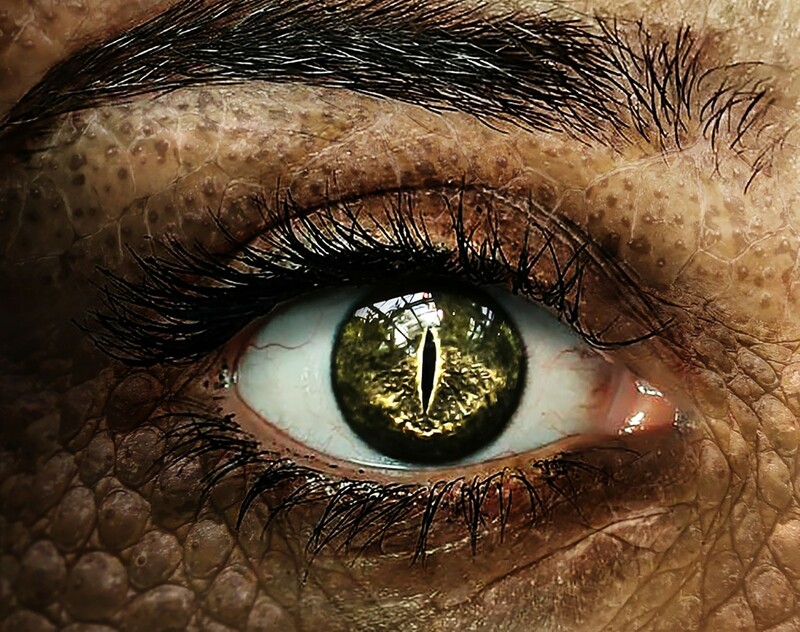 The things visiting Earth we think are aliens are actually something else. I'm on the fence about it all. Aliens are demons. There are records of demons from every culture. UFO and ET phenomenon is just a new novelty for them to exploit to make themselves seem fascinating and benevolent to unsuspecting people. In 2014 I saw a UFO and I was stunned. I saw it close up too. I have written about my experience on hubpages. All I can say is this. A flash in the sky and it appeared as big as a cruise ship and another flash and it was gone. I tried to film it on my phone but my phone created a massive flash off the windows that I was filming out of. I dont want to believe but I saw it four times that night. Largest object I have ever seen in my life. I also saw a jet approach and hover at the entrance of the craft so I contacted Ministry of Defence who would not respond to my desperate pleas to explain why the craft was there. I wish I had not seen it but I did. The image has imprinted on my mind and I will never forget. It took a couple of years for me to calm down from the experience and like I have said, I wish to God I had not seen it. My belief system was scrammbled that night with the shock and the implications of what I saw. What makes it worse is that although I was terrified I propped a camera up in my window incase the craft appeared again and hid under my quilt. Camera filmed a light source coming over my window and then retreated so I know they know that I have seen them. Well, I hope your right. Because if your not I would say that we only have about eighty to seventy years left. if the abduction program continues unabated. the mantis beings will have on this planet a human alien workforce that will be able to blend in with us. and be able to control our minds. and that is were the alien abduction program is headed. When it reaches its critical point. Lets hope that were made into slaves. and not mass murder. Here's what I don't get about people who think they see UFO's, especially when they see blinking lights. The aliens are smart enough to get here from a galaxy far far away, but too stupid to turn off their lights.